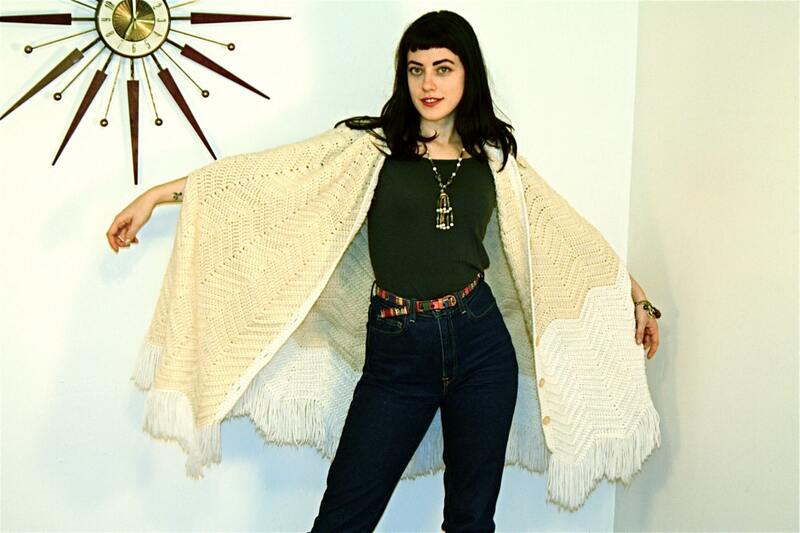 This is a spectacular vintage 1970s cream cable hand knit poncho! 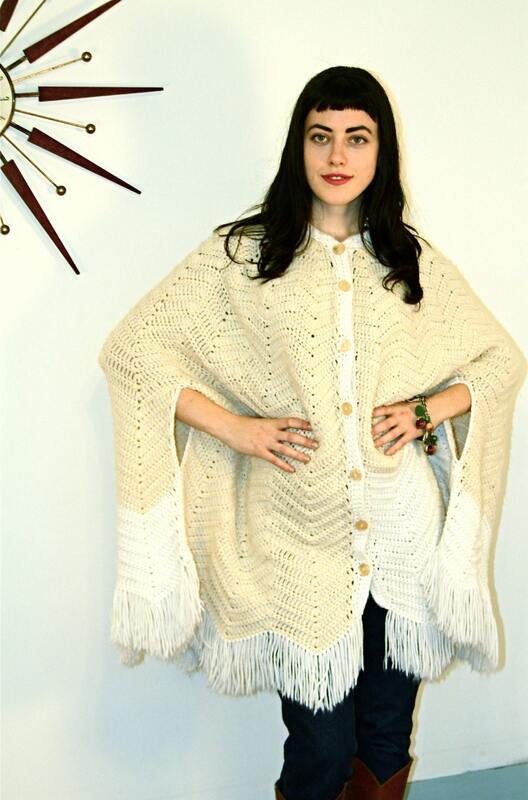 It is two toned and has the most lovely knitting and fringe! So Bohemian! 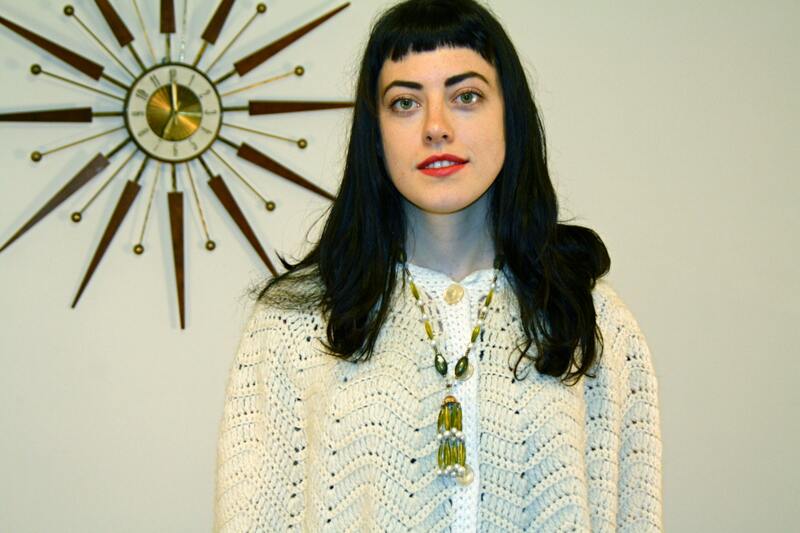 Just imagine all the complements and conversations you will have wearing this piece! And you will know you are the only one on earth who owns it! That is the magic of Vintage! 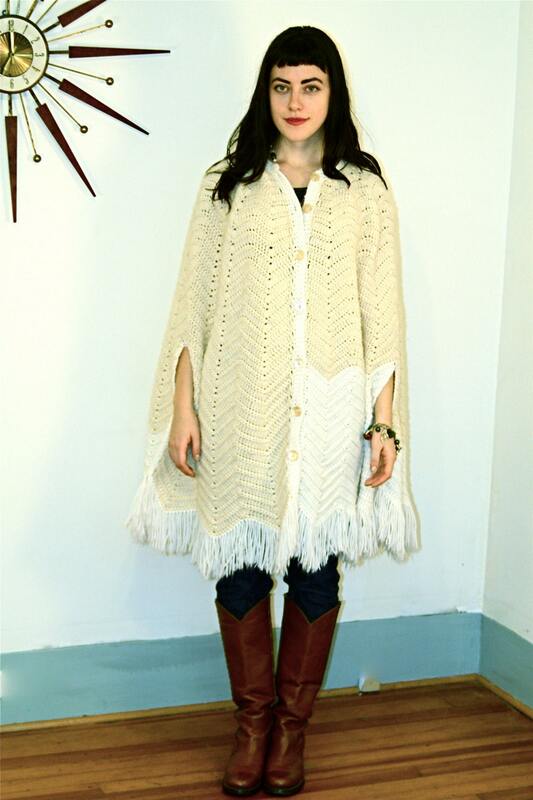 This poncho is in excellent condition! Just some balling, but no stains or rips!